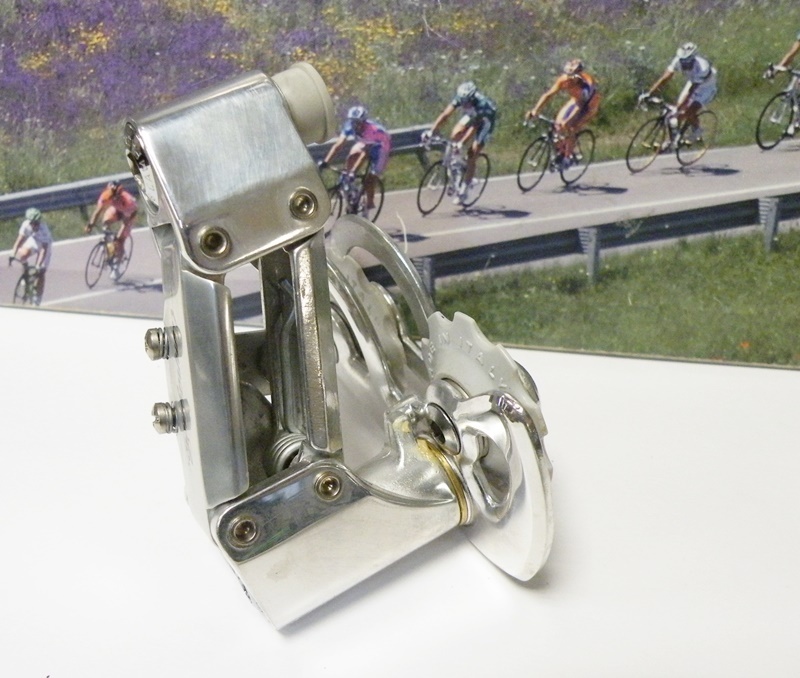 Mid 1980’s model, with white pulley wheels. 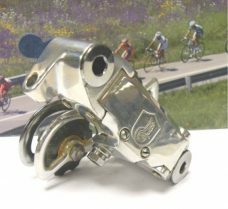 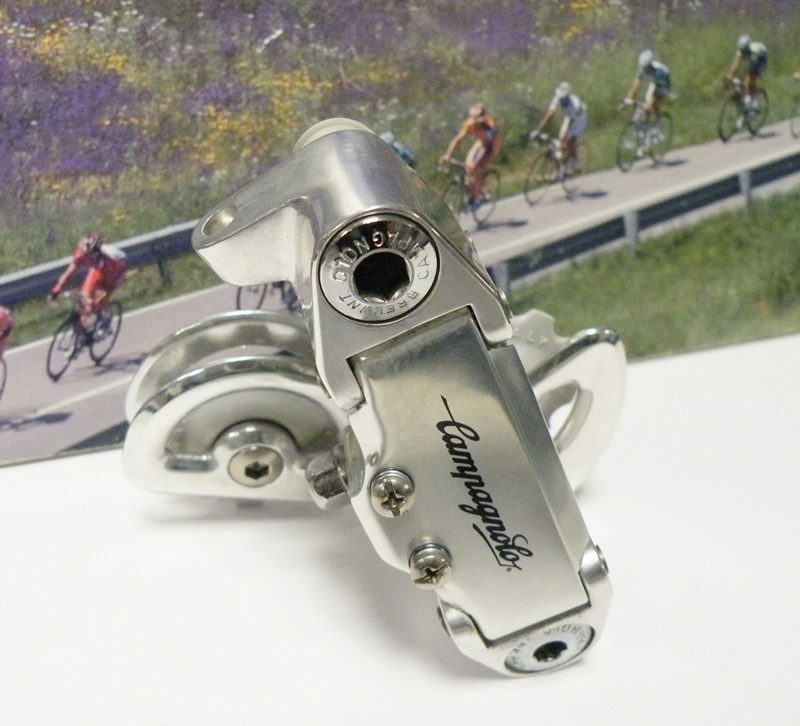 Campagnolo Triomphe rear mech. 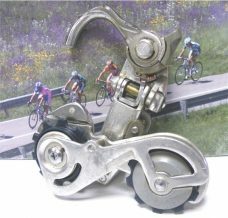 , black pully wheels. 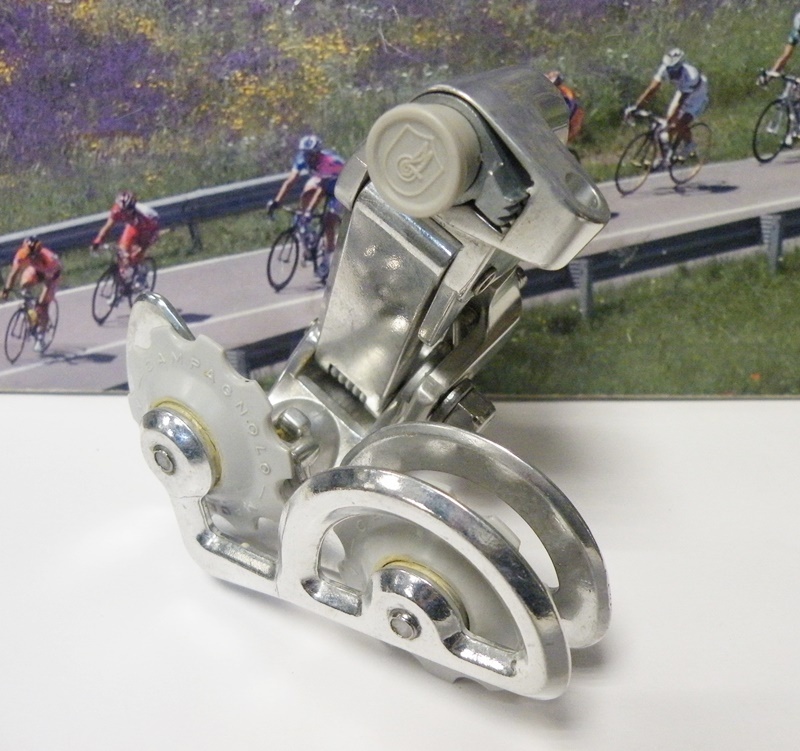 Shimano Tiagra 9 speed rear derailleur.Short model.